The get back tour that began in 1989 must be a very memorable tour for fans. Paul was arrested in Japan in January 1980 and wings disappeared naturally. Tsuzo visiting Japan tour in the history of the band of ten years has ended. And at the end of the year at the wrong timing, John collapses in a brawl. After that Paul was afraid that he could be targeted himself, “I have to go away from the stage till Hotobori got to be destroyed because John fell down on the rogue,” it ceased to be on stage. 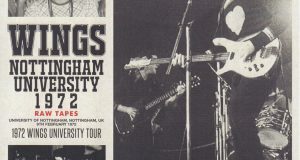 The live stage that appeared in the 1980s is only Prince Trust and Live Aid 2 times. In addition, given the situation in Japan, because Paul committed an unbelievable loss of being arrested on cannabis possession in Japan despite the fact that a foreigner who had a previous conviction was permitted to enter the country by special measures, It was thought that there would not be any steps taken. 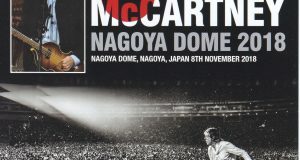 Although it is not the first visit to Japan in 1990, is not it a tour that is extremely fond of for Japanese fans because it is “performance” for the first time in Japan? It was just a sudden that Paul announced the tour for the first time in ten years. Unlike the era in which information is broadcasted via the Internet as it is now, it is not known that a new work “Flowers In The Dirt” has been announced and a careful rehearsal has been repeated for tours, and until the 1980s For those who knew Paul, the announcement of the tour was surprised. 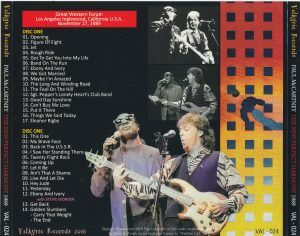 September 1989 The first tour in 10 years that began with Oslo of Norway (to be exact, Drammen a bit away from Oslo) eventually took over more than 100 performances including Japanese performances, just that Paul came back to the stage Initially, although the tour title was not named in particular, it was naturally occurred to be called “GET BACK TOUR”, which is now the official name. First of all, it was a replay of the songs of the Beatles. 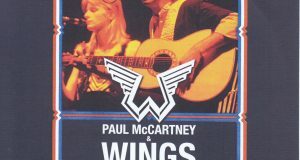 In the early days of Wings, he stubbornly refused and bought tea with “Long Tall Sally”, but in over-the-air he adopted several squirrelly, and in the 1979 tour “Got To Get You Into My Life” was elected to the opening It was. He says the “I Saw Her Standing There” and “Get Back” at the Prince Trust, and “Let It Be” at the live aid, and the resistance feeling of gradually singing the Beatles number is getting faded with the times No, I never imagined that I would line up in the set list without hesitation. Speaking of 1989, the generation that actually saw the active Beatles is the age of around forty. It was a great success because we visited the venue for nostalgia and there was a real time pole that was not nostalgia. The highlight of 1989 will be a North American tour that began in November. The United States that went to Europe with full satisfaction around it was a concert for the first time in 23 years since 1976. In the first place in Los Angeles there are indeed five consecutive performances being held. This is the largest continuous performance that is superior to New York. This film contains the Los Angeles Forum performance on November 27, 1989, the middle day of the film. It was one of special days even during a long tour, and Michael Jackson, Stevie Wonder and others showed their face in the venue, and also from Japan (because the Japanese performance was desperate) Many fans are visiting. The reason why this day is a special day was that he played “Ebony And Ivory” the second time on the encore in Encore, Stevie Wonder jumped into the stage and showed up the duet. Stevie Wonder was not scheduled to appear on this day, it was just the audience as one of the audience. And it happened that Paul’s regular tour “Ebony And Ivory” was in the set list. Usually Hey Mish was singing a part of Stevie. In fact the first performances are being played in duet with Paul and Heymisc. Paul who knew that such a fortunate coincidence overlapped and Stevie Wonder in the hall was raised on the spot on the spot on the surprise. “I have surprise guests tonight.” Stevie would have been surprised by sudden things, but he will be pleased to take on the underwriting stage. Stevie is also singing ad libs while breaking the original as compared to Paul who is accustomed to singing. 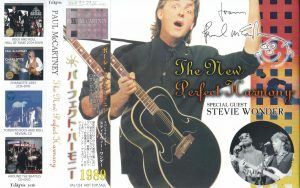 There is also a scene where Paul invites as singing “Stevie!” Somewhere in the middle, and it is very transmitted that singing together while making Stevie. Of course the audience is delighted. It is pleasant that I say “Stevie, I will do it later” after playing. As mentioned earlier, there was a surprise that Stevie · Wonder jumped in and drove “Ebony And Ivory” on this day, so there was a title “Yesterday Today And McCartney” as early as in analog age . But the sound quality is not a very good thing, but still widely known among fans because of the rarity of its contents. There is only this sound source for a long time on this day, BCC ‘s gift tape also includes an excerpt of “Ebony And Ivory” song from this analog board, or from the Piccadilly Circus label titled “Perfect Harmony” It was recorded. However, this work has been excavated in recent years, it is totally different sound source. And the tone quality is the best thing to compare, probably boasting the quality which is listed as one of the best in the audience sound source of the tour of 1989/1990. With this sound quality, I would like to thank fortune for being able to listen to this historic day. The only disadvantage of this new sound source is that there is a cut between the songs of “I Saw Her Standing There” and “Twenty Flight Rock”, and that cut is eroding, although slightly to the intro of “Twenty Flight Rock” is there. Although it is slight, this missing part is supplemented with the previously-mentioned previously-mentioned sound source, and throughout, the concert is collected completely. November 27, 1989 Completely recorded Los Angeles performance with another sound source different from the previous episode. It boasts the highest quality that boasts as one of the best among the tours. In addition to Stevie Wonder and sometimes a special day singing “Ebony And Ivory”, this sound quality, it is exactly a mania essential concert. Permanent preservation of a beautiful picture / disk specification A tightly pressed board. Japanese-style attaching.